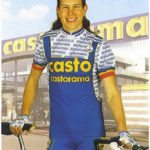 Since most of the cycling kits are awful, some of them were particularly atrocious. 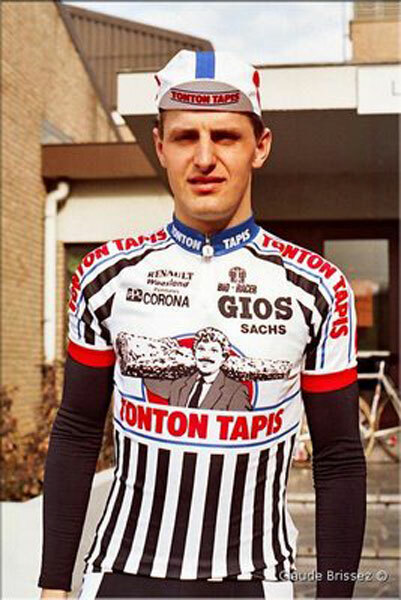 Here are the top ten twelve worst cycling jerseys from the pro peleton over the years. 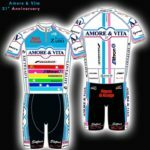 Colors, fonts, design… Awful, awful, awful… CSF Group-Navigare’s 2008 kit takes 9th place. 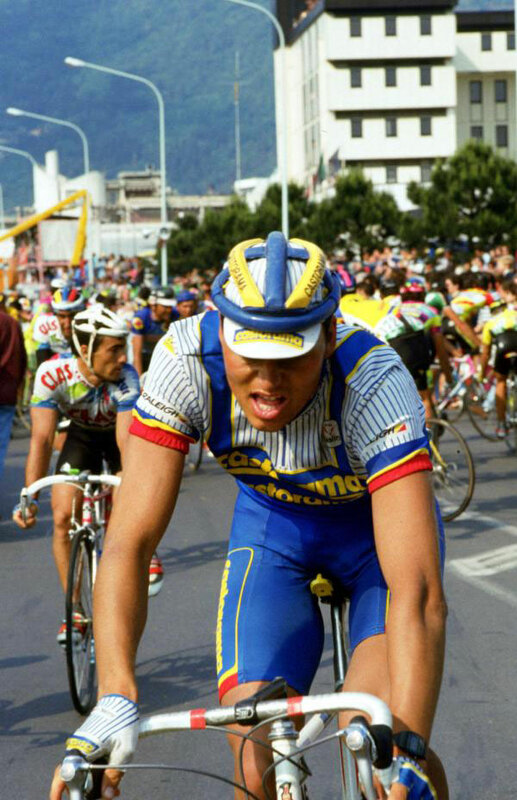 Their Colnago’s are cool, though. 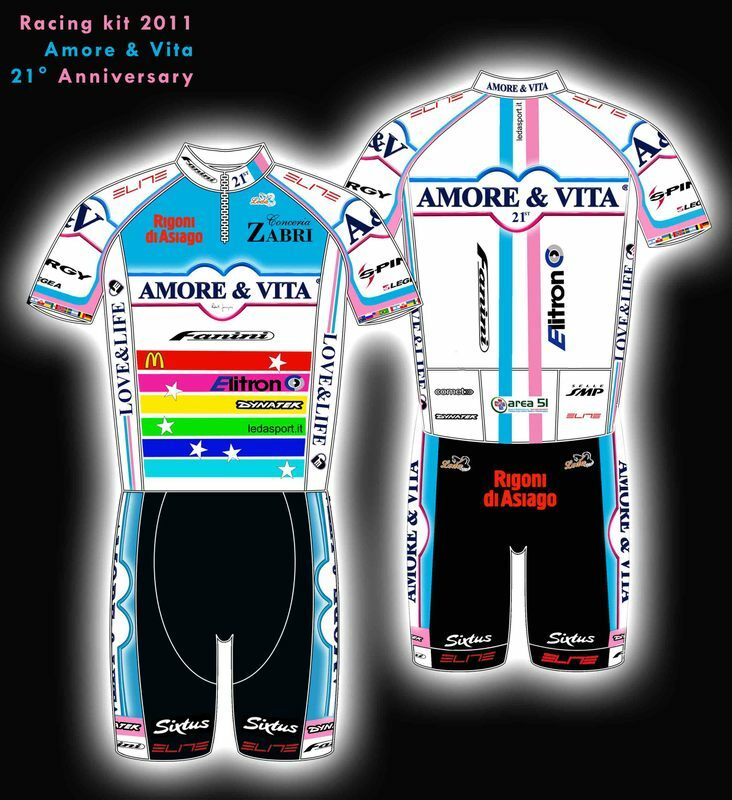 The Amore&Vita 2011 team jersey looks like 1990’s web site designs to me. What do you think? Bwahaha! Look at the handsome guy who carrying a carpet… Is that a rug on his head, made by same material with the carpet? It looks like something a schoolchild would have worn to a teen disco at 1980’s. 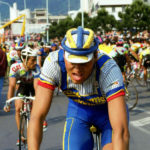 And it won Tour de France with legendary Greg LeMond! I couldn’t find from what year is it… But doesn’t it deserve the 3rd place? Only Castorama could do better than Castorama. They did a great job in 1994, again. 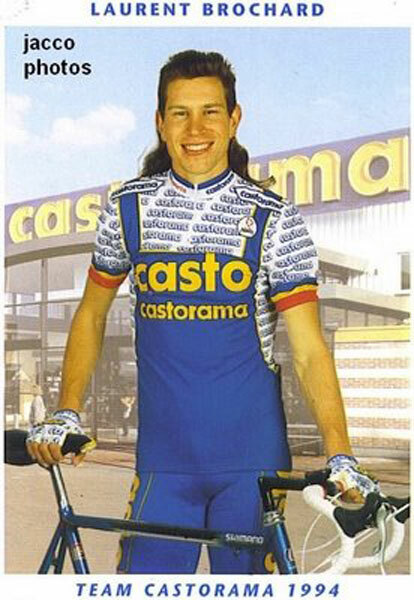 Oh.. my… eyes… Without any shadow of doubt, the Footon-Servetto 2010 kit was the worst, I mean WORST cycling kit ever. Look at this! Update: The nightmare is back! Oh… 2013’s last day surprise. 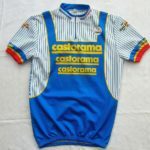 Well… I think you know the jersey – I am displaying it here cropped, because I don’t want to search engines or advertisers give me penalty. In fact… It’s OK to me. Women have their right to wear whatever they want. There’s no need to shame women’s bodies. 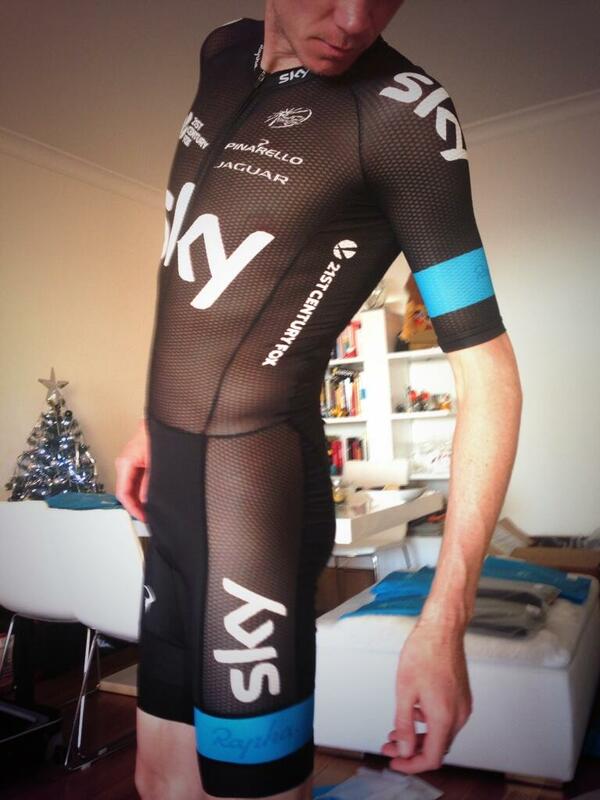 I think people are overreacting the kit. I heard that one of the women on the team designed it. I am including the kit to this list just because to express my opinions about it. 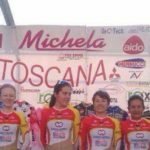 UCI head Brian Cookson tweeted about the kit and said “To the many who have raised the issue of a certain women’s team kit, we are on the case. 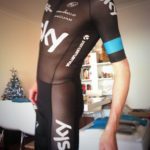 It is unacceptable by any standard of decency.”, but I totally agree with the Guardian article – The UCI have better things to worry about than ‘unacceptable’ cycling kits.